There are many interesting things you can do while on vacation in Indonesia. 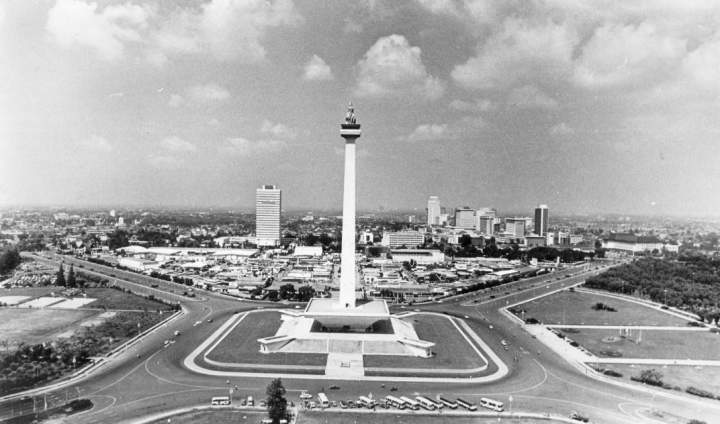 And here are some fun facts about 7 old cities in Indonesia. samlike.net - Indonesia is a country consisting of islands that divide it into several provinces. These provinces are then divided into several cities. Cities in Indonesia are very numerous, which is about 98 cities. Of the many cities, some of them are listed as the oldest cities in Indonesia which have their own history. Maybe there are still many who don't know what city it is, here we summarize it in the 7 oldest cities in Indonesia. Palembang is included in the oldest cities in Indonesia which have been established since 683 AD. The city is in the province of South Sumatra and is recorded as the second largest city on the island of Sumatra after the city of Medan. The city has an area of ​​358.55 ㎢ and is inhabited by 1.7 million people. At first, the city of Palembang was the capital of the largest Buddhist Maritime kingdom in Southeast Asia. Since that time, the city that is famous for Pempek as its signature food began to be crowded with people from various regions. Malang is included in the oldest cities in Indonesia which have been established since 760 AD, precisely on November 28th. This city in the province of East Java is the second largest city in East Java after Surabaya. The city has an area of 252.10 ㎢ and is inhabited by 4 million people. The city developed since the presence of the Dutch East Indies colonial administration, especially when the railroad began operating in 1879. At present, the city of Malang is one of the famous cities in Indonesia, which is a tourist destination for travelers. One of the most famous kingdoms in this city is the Singasari kingdom. Kediri is included in the oldest cities in Indonesia which have been established since 879 AD. The city, located in the province of East Java, is known as the largest sugar and cigarette trade center in Indonesia. The city has an area of 63.40 ㎢, it turns out there are quite a number of historical relics in the era of the kingdom such as temples and statues. At present, the city of Kediri has a building that resembles the Arc de triomphe monument in Paris. This monument was finally used as an icon of the city of Malang. The city of Magelang is included in the oldest cities in Indonesia which have been established since 907 AD, precisely on April 11. This city, located in the province of Central Java, is the location of one of the most famous wonders of the world, the Borobudur Temple. Even though the city is small, its historical value is very high. In the 18th century, Britain had ruled the city of Magelang and made it the center of government. Purworejo is included in the oldest cities in Indonesia which have been established since 901 AD, precisely on October 5. The city located in the province of Central Java was once the capital in 1945-1949. The city has an area of 52.73 ㎢ and is inhabited by 98,620 people. The city is also located on the main route of Java via the south coast, has quite a lot of potential that can be used as a public attraction. Starting with the potential of tourist attractions, culinary, agriculture, livestock, home industries and others. Salatiga is included in the oldest cities in Indonesia which have been established since 750 AD. The city, located in the province of Central Java, has a long and strong history, having experienced a period of great warfare in the kingdom. The birth of this small city is contained in a writing written on an inscription stone, named Plumpungan. This Plumpungan inscription is located in the village of Kauman Kidul, Sidorejo. Many people don't think that the city is famous for its signature food called Lumpia, including the oldest city in Indonesia. Semarang is included in the oldest cities in Indonesia which have been established since 1547 AD, precisely on May 2. This city in the province of Central Java is also increasingly famous, because it was visited by Admiral Zheng He, a legendary colonist from China. And that is the fun facts about 7 old cities in Indonesia. Perhaps the city that you will visit or are living in, is also included in the category of the oldest city in Indonesia.